Peas have always been one of my favorite vegetables. Maybe because my mom never served them from a can when I was a kid, and they were always sweet, buttery and crisp. 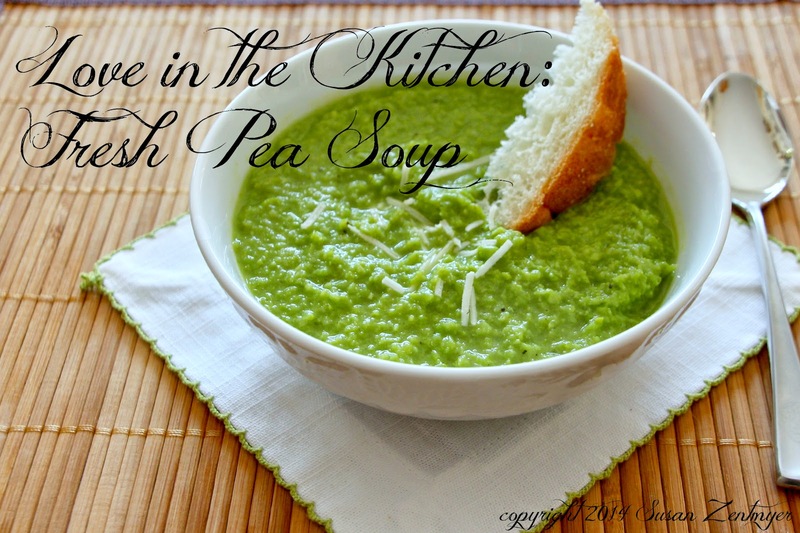 Vibrant green, this soup is the very essence of the flavor of spring peas. I use frozen peas because they are always frozen at the peak of their sweetness. 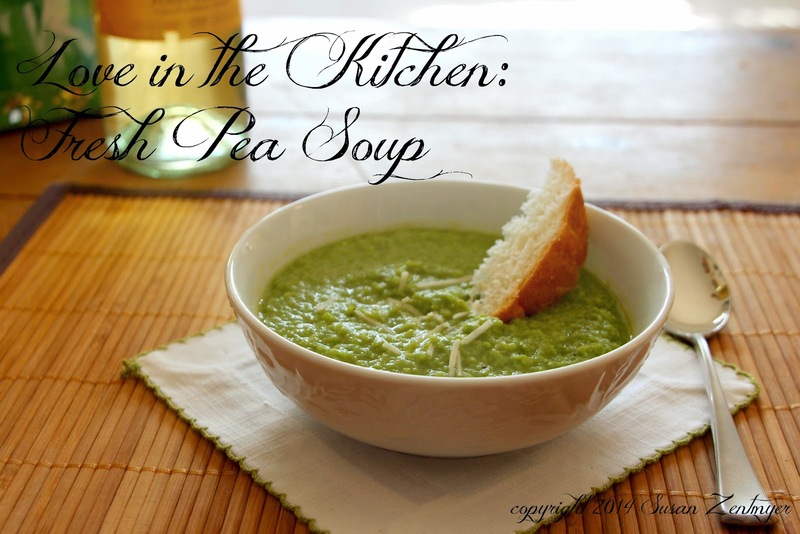 If you use fresh peas, be sure to use them as soon as possible after picking to preserve the sweet, fresh pea flavor. Saute the onion in the butter in large and heavy pot. Add broth and bring to a boil. Add peas, return to a boil. Remove from the heat and puree the soup using an immersion blender (or blend in a food processor or blender in batches). Season to taste with salt and pepper. 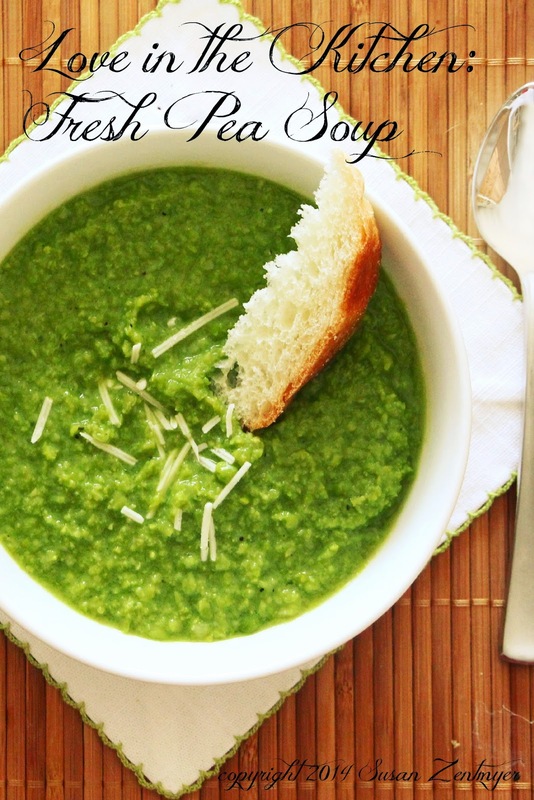 Ladle into bowls and serve with a sprinkling of parmesan cheese and a slice of crusty French bread.